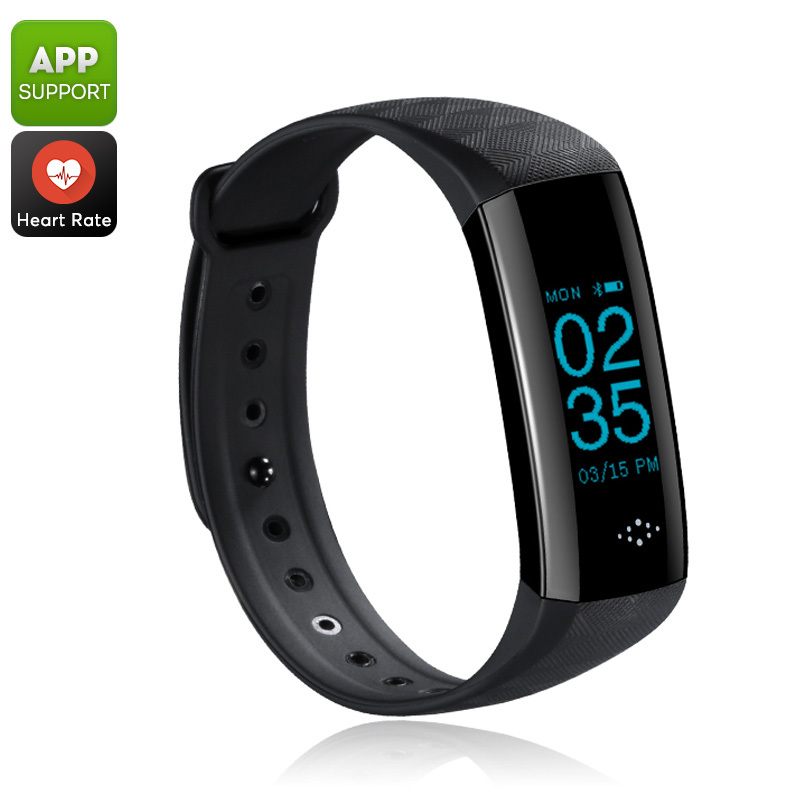 Successfully Added Fitness Tracker Bracelet - Bluetooth 4.0, IP67, Pedometer, Distance Counter, Heart Rate, Blood Pressure, Sleep Monitor (Black) to your Shopping Cart. Keep track of the time and your health with this stylish smart bracelet fitness tracker. On its 0.96-Inch touch-screen display; this Bluetooth sports tracker treats you to a wide range of health features. With a pedometer in place, it keeps accurate track of the number of steps you take throughout the day. Additionally, it is capable of counting the distance to show you how far you’ve walked. Having this information at hand will help you to keep track of your daily activity levels and motivate you to work towards a more active future. Thanks to its sedentary reminder, this fitness tracker makes sure you’ll always get the proper amount of exercise during the day. The watch is IP67 waterproof, meaning you can wear it in all weather conditions. Your sports band furthermore comes with a blood pressure sensor and heart rate monitor. These features treat you to valuable information that helps you to choose the intensity of your upcoming workouts. From now on, you’ll be able to exercise in the most efficient manner to reach your future fitness goals in no time. When synchronized with your iOS or Android phone through the dedicated app, you’ll be treated to a wide range of smart health information. It is furthermore capable of sending out call and message reminders to make sure you’ll never miss out on an important update again. With its 80mAh battery, this smart bracelet delivers up to 120 hours of standby time for you to enjoy on a single charge.